Students achieving success through celebration of their Identity, Language, and Culture. In 2015 our new building, which flows down the site like a river, was blessed and opened. It was named Murupara after one of the Ngāti Manawa taniwha, a pet eel that inhabited the cave below the Kiorenui foot bridge in the Rangitaiki River. In 2016 the remaining technology wings and the community gym opened. These buildings are stunningly beautiful and support innovative teaching and learning. 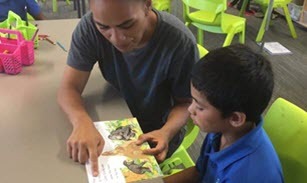 The open learning environment of Murupara is divided into three learning hubs; Nīoreore, Kārangaranga,and Rangipō. These names were given by our kaumatua and kuia and were chosen because of their connection to the tuna. Kārangaranga is our Year 5 – 8 learning hub. This is the initial meeting place of the adult tuna before they gather at Rangipō, usually in February, March or April. Kārangaranga is below Moewhare marae, where once stood the dwelling place of our eponymous ancestor, Tangiharuru. It is also the burial ground of our sixth Paramount Chief, Rākau. According to Rangi Anderson, holes were dug out in the cliff side where people would hide from the enemy. Rangipō is our senior learning hub for Year 9 – 13 students. Rangipō is a sacred site where the Ngātamawāhine stream meets the Rangitāiki. This is where the eels would congregate before they departed for the Tongan trench to spawn. Rituals were performed by our Ngāti Manawa pakeke with tangi and karakia to farewell the tuna who would never again return. Aue! TaukIri e!